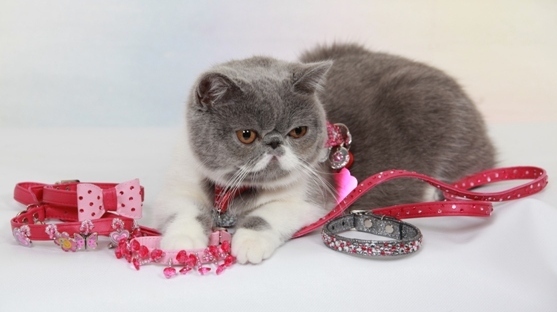 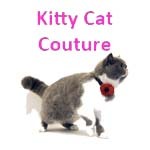 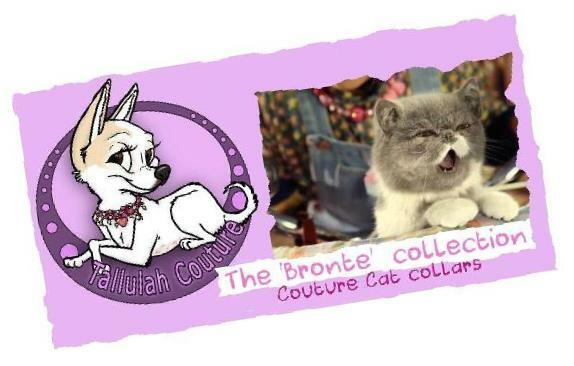 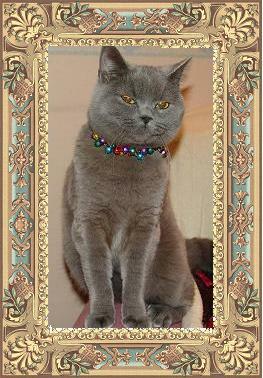 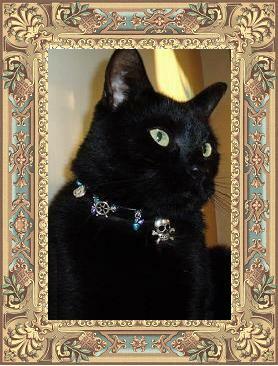 Bronte the singing cat has worked with Tallulah Couture to create a 'Bronte collection ' of hand-made couture cat collars. 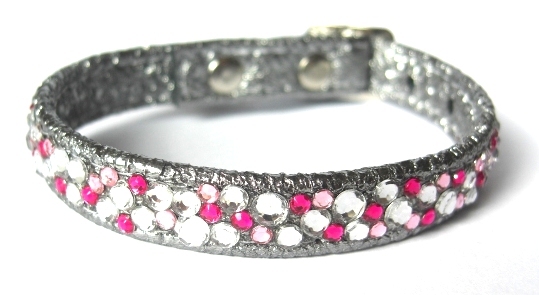 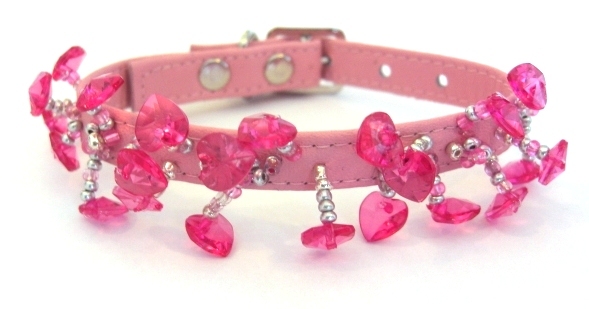 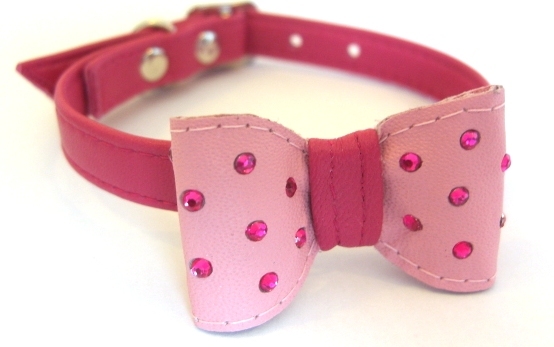 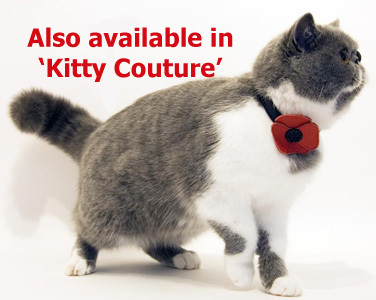 All our Kitty Couture collars are made in super soft nappa leather. 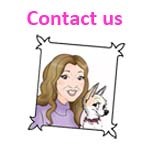 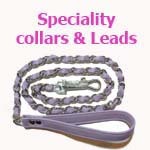 You can choose a quick release safety clip or a buckle/elastic fastening. 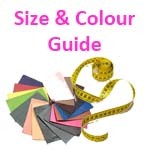 Choose from our main selection or 'design your own' using our unique bespoke service. 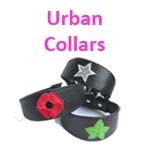 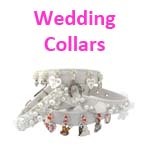 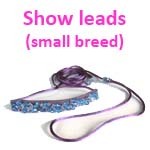 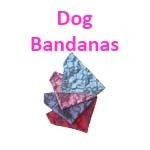 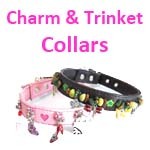 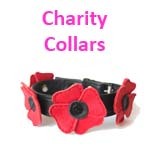 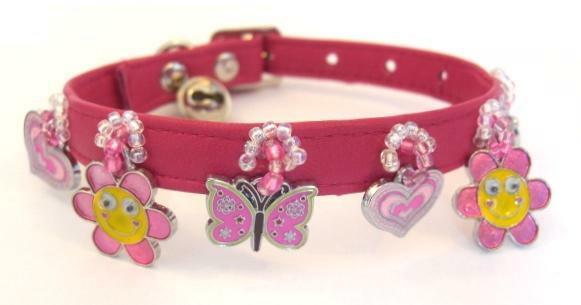 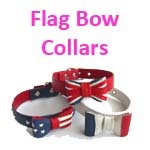 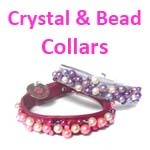 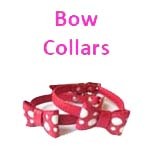 Let us know styles, colours or themes and we will create a unique collar just for you. 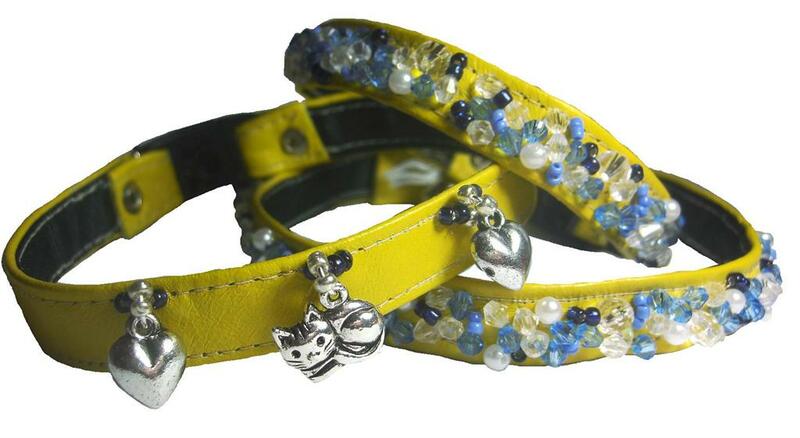 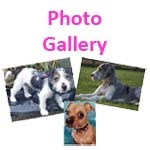 Our stunning yellow leather with blue and yellow crystals is in aid of the Cats Protection.